As fun as it always is when the Celtics lose at home, it’s even more amusing when the loss is to their historic rivals from Los Angeles. Thursday night’s game improved even on that scenario, with the Lakers reeling after spending the last week or so in trade deadline hell, and the Celtics riding high. Roll the tape! 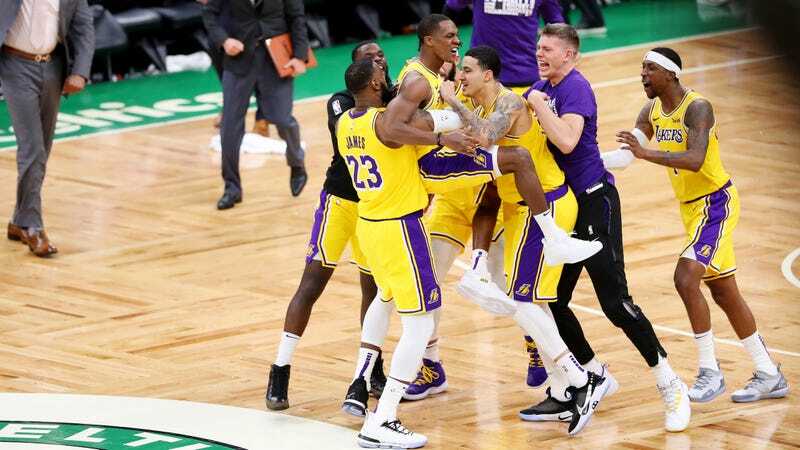 Two nights after suffering the worst loss of LeBron’s career, the Lakers put together their largest comeback win of the season, in the home of a resurgent Celtics squad riding the momentum of 10 wins in their last 11 games. If nothing else, it’s an encouraging sign that the Lakers might have the juice to recover from the treachery of the Pelicans and make a playoff push down the stretch. If not, at least they made Bill Belichick sit through a gut-wrenching loss.